I have also notified this, it looks so much better. The 51 now gets all Es apart from one WVL, the 353 is heading towards full WVL allocation and 320 has its EH and a few Es, must say it does look better as the amount of WVLs there suits the TVR of the 353 so it makes more sense to make the 353 full WVL and 51 full E/EN. WVL468 | LJ61NWX - Has now been blinded and is blinded for Route 5. I was on it earlier, WVL468,470,478 all appear to have new blinds form my observations today. Will the N21 no longer be LT operated? Correct. No more NRM's on N21. I have a feeling E400s and WVLs at RR have finally started being reblinded as E137 & 207 have entered service on Route 104! WVL468 was on Route 5 blinded yesterday. I can see Croydon are getting rid of their B7TLs, but what about RR and NP? NP have got rid of WVL189 and 204 I think, but why are WVL111 and 205 still in service? I can understand refurb cover but why? Also what is now replacing the 357s B9TLs? There is literally nothing now and it's using 59 reg but then leaves the 191s buses being used on the 476 and the 191 now uses the 56 regs a lot. 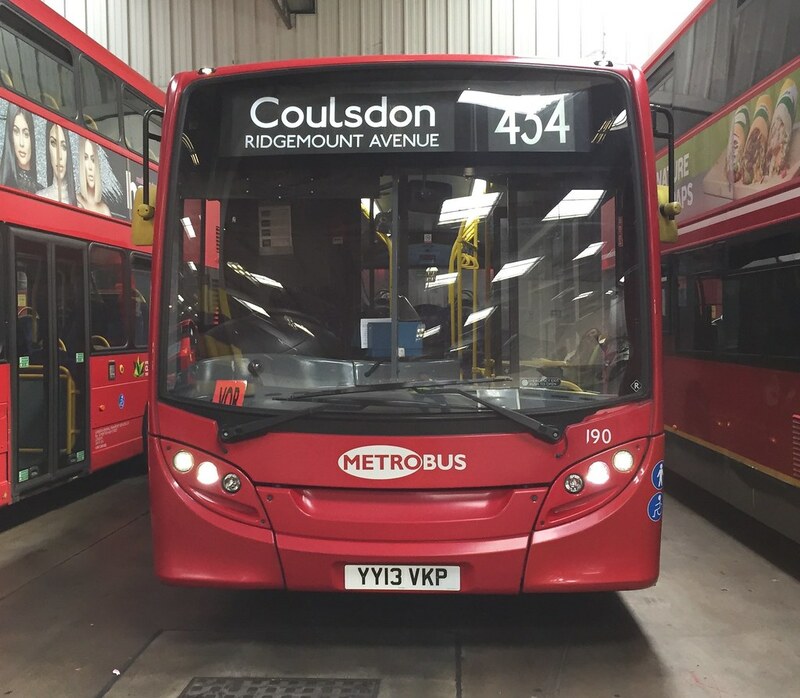 So what will replace the 357s buses? I'm not too sure if Croydon are totally getting rid of their B7TL's. Despite E39 moving in all three of WVL238-WVL240 were still out, and the others from that batch are still in regular use at NP despite the loss of the 20. That's interesting if the allocation has indeed been swapped, especially with the 353 being up for tender next year. Is there a reason why there are no more LTs on the N21? The N21 is to be cross linked with the N89. Could those Routemaster be used on a different Night bus at New cross.